It looks like there are finally going to be some rewards for spending the last 2 months getting exalted with the Sunreavers at the Tournament grounds. Besides the bundles of rewards from the various faction vendors and the time friendly dailies, we’ll now be getting a little bit more, and boy am I gald I’m Horde. Blizzard are really going to town with seperating the Horde and Alliance in 3.2. First there was the news that Tier 9 will have different models depending on your faction, along with different weapon models from boss drops. Then there’s also the different bosses available in the new 5 man. And they’re continuing the theme as the rewards are an epic ground mount and an epic flying mount, different depending on your faction. The ground mount will cost 100 Champion’s Seals and the flying mount will be 150 Champion’s Seals. 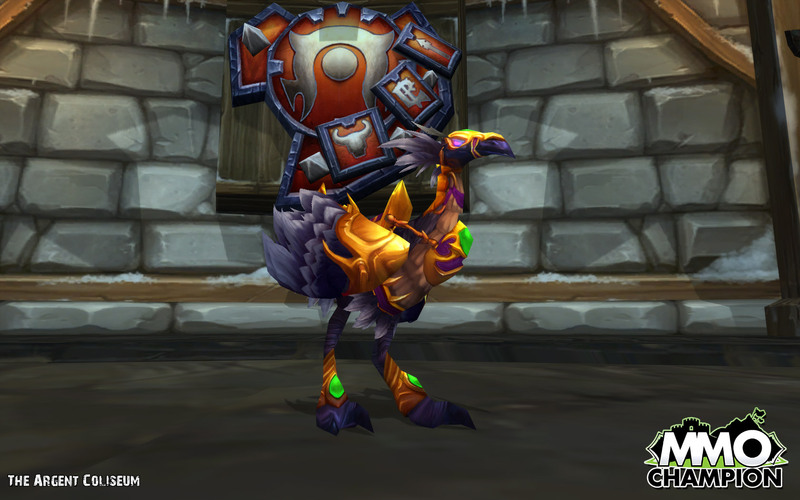 Although the mounts seem expensive (as time is a resource), they do look pretty cool, especially the Horde flying mount. 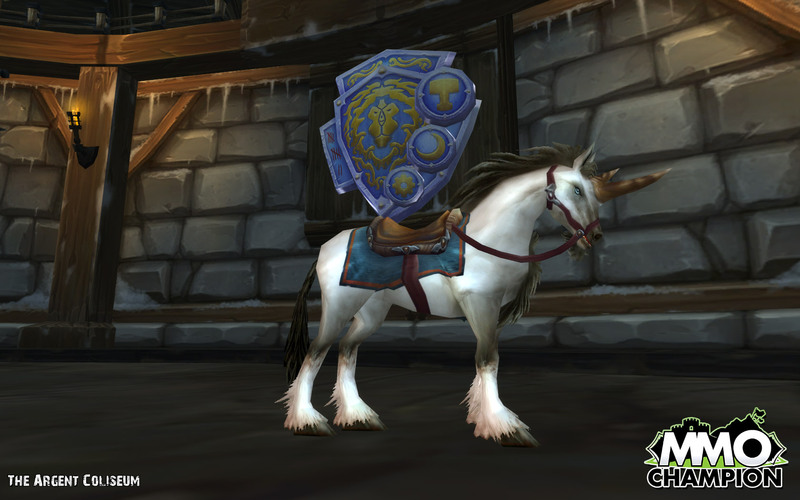 The two best looking mounts have to be the Alliance Ground Mount and the Horde Flying Mount. 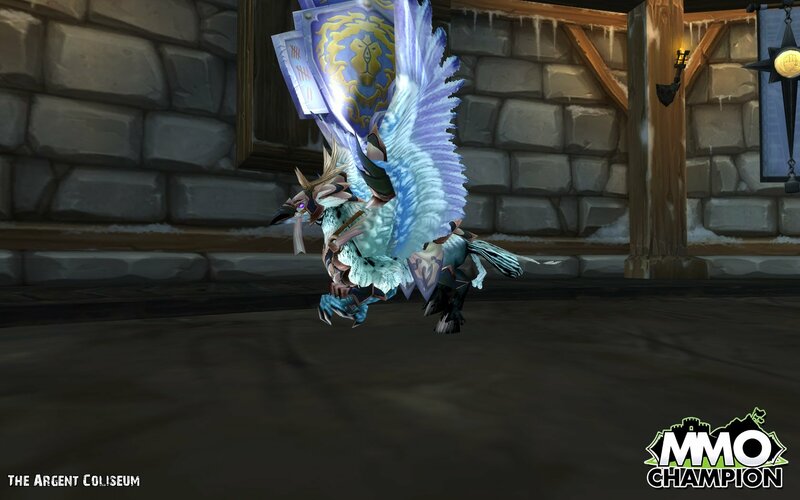 The Horde Ground Mount just looks like any old Hawkstrider, and the Alliance Flying Mount is just a white hippogryph. Even still, Blizzard will be adding in new ways to obtain Champion’s Seals so even if you don’t like the look of them, you might have some spare Seals eventually. To start with, I’m sorry for my lack of posting. I can’t really blame it on anything specific that’s time consuming as I actually have more time on my hands than I should do, I’ve just been plain lazy. Now onto the subject of Worgen Pets. Earlier tonight I was browsing wow.com (new home for wowinsider) and came across this article. If you have a quick read there, you’ll see that apparently there’s an interesting way for hunters to tame a Worgen (humanoids) to have as a loyal companion. Since this looked mega hella awesome and likely to be hot fixed soon, I naturally had to try this for myself. 2. Take him down to 7-8k health. 4. Wait ’til Wyvern Sting only has 14 seconds left and then start using Tame Beast. The basic premise for it is to have him go below ~50% just as the Tame Beast finishes. The Wyvern Sting is useful because it keeps him still for the first 14 seconds of the cast, but also because of the damage from the dot afterwards. You have to make the first tick of the dot go just before the Tame Beast finishes so he turns to Worgen form but because it still has him triggered as a worg and not a humanoid, you can tame him. Awesome huh! It took me 5 or 6 attempts to get the timing just right but it pays off. 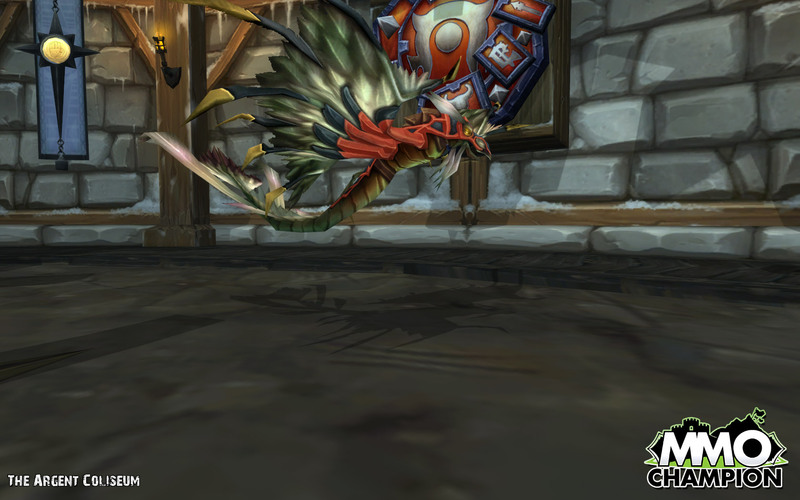 He’s classed as a Wolf and is therefore a Ferocity pet, brilliant for end game PvE. We have plans in the upcoming major content patch to remove the ability for players to tame Garwal in his worgan form. We will not however, revert Garwal to his innate form for those who have already gone through the trouble to tame the creature/ humanoid. In addition, we will be fixing the bug that currently demorphs Garwal when he enters arena. Good news indeed! I seriously recommend any hunter getting this pet whilst it lasts.